Stylish three mews apartment in Georgian Dublin dating back to 1792. 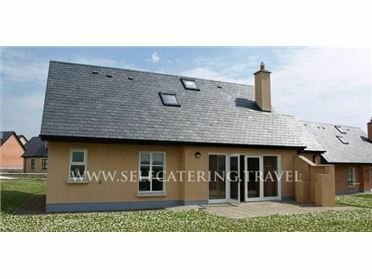 This luxurious property is in a wonderful location from which to explore Dublin. Finished to the highest standard the mews is secured behind electric gates and is enhanced by a private courtyard in the front. The entrance leads to a loft style living space which includes a Siematic kitchen with Gaggenau appliances. Leading from the living room are two bedrooms and bathrooms which lead out onto a private balcony to the rear. The master bedroom is on the next has a tub, a television and a walk in shower. This bedroom leads to a private deck with an outdoor hot tub and an outdoor shower. It is great to sit in the hot tub late at night and to listen to all the sounds of the city outside. Maybe enjoy a glass of Prosecco after a day's sightseeing as you savour the evening. We are happy to provide you with that as a welcome when you arrive and in case the mood takes you. If you visit us in the winter, we have great heat and a cozy gas fire to take the chill out of the evening. There are televisions in all bedrooms with a full package from Sky Tv which includes Sports and Movies. In the living room there is a Bose TV and this includes a sound system suitable for use with an iPod. Fine Italian furniture furnishes the living room. The mews has been recently refurbished it to a very high standard. It is a very special place and is a much loved property. it is only available to rent to families and mature couples. This is a non smoking house but there are plenty of facilities to smoke outside. . While the price may seem high in comparison to other properties, it is reflected in the quality of the furnishings and fit out and location. I would much prefer to rent to a select few than to have it busy all the time..